When I first began learning about homesteading I was so excited to get started. Pretty soon though, I was overwhelmed by the feeling of not having enough time to do any of it. I had a new baby, a home to take care of, and later, a job that took up all of my time. Growing my own food, cooking from scratch, and DIYing everything sounded fantastic, but how could I ever find the time? Does that sound familiar at all? If it does, you know that the one thing you really need to start homesteading is time. That’s where time management strategies and priorities come into place. 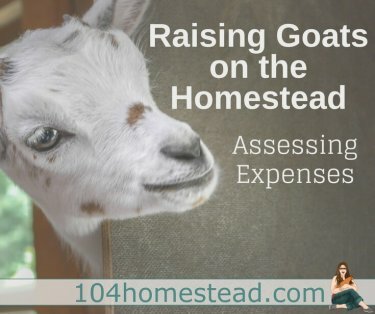 Homesteading does take time, but so does a mainstream modern life so the key is to trade those things in your life that don’t suit you anymore, for the activities that will bring you toward your homesteading goals. Here are a few of the ways you can find the time you need to begin (or continue) homesteading. Let’s start with the most obvious and possibly the least exciting (but incredibly important!) point: time management strategies. Most people have poor time management skills. It’s not laziness or distraction necessarily, just that they don’t know how to make their time most efficient. There will always be things to fill our time with which seem important but don’t help us reach our goals. Understand Covey’s time management rubric. Stephen Covey, author of The 7 Habits of Highly Effective People came up with this amazing time management rubric. It’s geared toward business, but it works for just about any part of your life and pairs nicely with the guide to time management developed by the University of Georgia Cooperative Extension. Figure out what is most and least important and how urgent your tasks are. Spend your time doing things that are important and NOT urgent. Having lots of urgent tasks means that you messed up on your time management strategies yesterday. For example, if your goal is to build a chicken coop for your new chicks, building the coop is important (the chickens will eventually need a home) but not urgent (they will stay inside for a few weeks at least). However, if you wait until they are a few weeks old to start building, you’re going to run into an urgent situation. Do things early whenever possible to avoid them becoming urgent. This helps you to have some flexibility when those things that are true emergency/urgent tasks (like an animal is sick, pests in the garden, etc) pop up. Now, it kind of goes without saying, but I’m going to say it anyway: Avoid working on things that are unimportant. That would be checking email, answer the phone whenever it rings, making the coop look pretty (functional is important, pretty is not), making from-scratch snack foods for the kids (sorry kiddos, homemade junk food is not a priority), etc. Your unimportant tasks may look different than mine but you get the point. Be honest with yourself. This one is an advanced tip but a really excellent way to find more time to homestead. Homesteading inherently reduces your need for income. If you can reduce your expenses, you can potentially reduce your hours at work. Homesteading also gives you the potential for additional streams of income. If you have 6 laying hens for eggs for your family, why not get 12 and sell the extra eggs? It doesn’t take that much more time (if any) to feed 12 chickens as it does to feed 6. Or choose some cash crops like garlic, lavender, or fruit and grow extra to sell. You’re already growing these for yourself, harvesting some extra for cash is very little extra work. Other self employment avenues are opened up too because you have a reduced need for income. With lower expenses you don’t need to bring home as much cash each week. You could potentially start working for yourself or seeking a new field of work since you don’t need to make tons of money when you’re just starting out (though I would built up some savings first to soften the transition). Self employment means that you can potentially earn a full time income from part time hours. What do I mean by that? Well most office workers only work for 6 out of the 8 hours they are in the office. That means you can potentially make your salary working only 6 hours a day. If self employment isn’t your thing, consider a work from home situation, either at your current job or a new one. Even just a couple of days a week working from home could give you 4 or more hours to use for homesteading. It doesn’t actually take that much time to feed a few chickens or grow a few vegetables. You can absolutely do it as a weekend homesteader. Fifteen minutes a day plus some time on the weekends is enough for most people. But if your dream is to be as self sufficient as possible you will have to invest some more time. That’s where efficient homestead systems come in. The more efficient your routine is, the more food you can grow in the least amount of time. For example, I have my compost pile inside my (temporary) chicken run. I put scraps in there, the chickens eat them and compost them. They also drop their manure. Next year I’ll move the chickens to another temporary location and spread the compost out over my new garden (the old run). This eliminates moving compost and manure to the garden. It also almost eliminates having to clean up the chicken coop and run (since I move it around). AND, it helps eliminate pests and disease similarly to a crop rotation system. I also use a no-till system where I allow the worms (and a little help from my favorite garden tool) to aerate the soil. All of these things reduce my time gardening! As someone who grew up watching lots of TV (we even had the TV on for background noise most of the time) I know how addictive media can be. It’s comforting, it’s relaxing, it’s fun. But at some point we have to look and see whether our media consumption is too much. As a young adult, I started cutting back my own TV watching to after-noon since I realized morning TV made me lazy. Now that I have kids, we only really watch TV for an hour at night after bedtime. Media consumption can make us lazy and discontent, but it can also just take up a lot of time. If you spend a lot of time watching TV or on facebook or other social media sites, it may be a good idea to try and cut it back. Start by putting restrictions on the time you use media. Analyze why you’re watching so much. Is it because you’re exhausted from your day job? Need an escape from your hamster-wheel of a life? I know that feeling! What I found was that the more homesteading I did, the less I needed media to help me escape. One of my favorite things to do is to watch the chickens waddle around doing their chicken-y thing, or weeding the garden in silence (no screaming kids). Ahh, the simple things! Are you overwhelmed by your homestead to-do list? I can relate! But after 5+ years of refining my time management strategies and putting other systems into place (like my “cheaper by the dozen” trick, which you can learn all about in my free video series on finding time to homestead), I’m finally at a place where I can balance homesteading with the rest of my life. Things aren’t perfect, but I’m moving towards my goals instead of always spinning my wheels. I know you can do it too! For more ideas for effective time management, check out these 7 essentials. Mindy Wood is a writer, wife, mother, and homesteader, living in the beautiful mountains of New Hampshire. She writes at Purposefully Simple where she shows people how to live more self reliant and healthy lives by growing their own food and other homesteading skills.